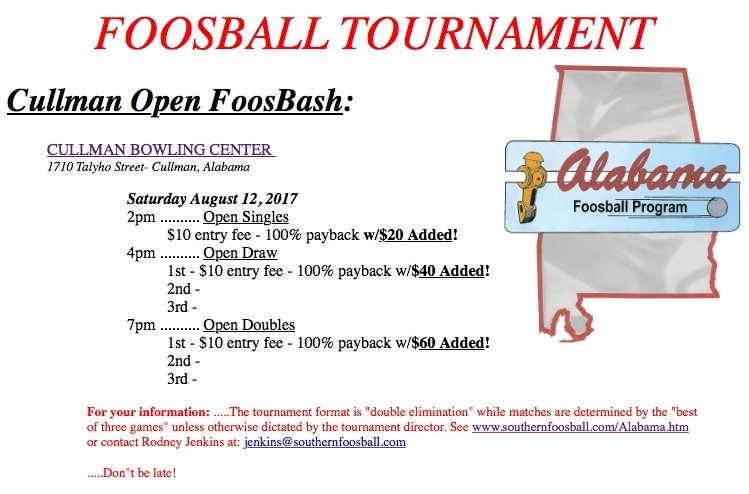 Listed below is information about local foosball action in Alabama. 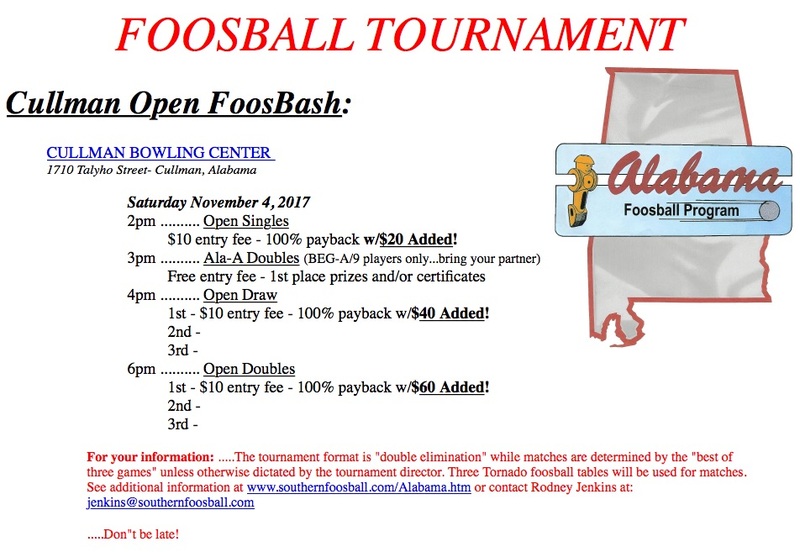 Included is contact information, weekly tournament schedules, and eventually collected resulting information, all of which create our Alabama Foosball Program. Information is usually updated during the first five days of each month-if not before; however, all is subject to change at any moment--you should check back often for possibly updated information. I would suggest that prior to making a long drive to participate, you should first contact someone in the know to get an idea of current activity status. 323 2nd Ave SW Downtown - Cullman, AL. 1819 Bassett Avenue SE - Decatur, AL. 4104 Cogswell Ave - Pell City, AL. 11799 Dauphin Island Parkway Ð Mobile/Theodore, AL. 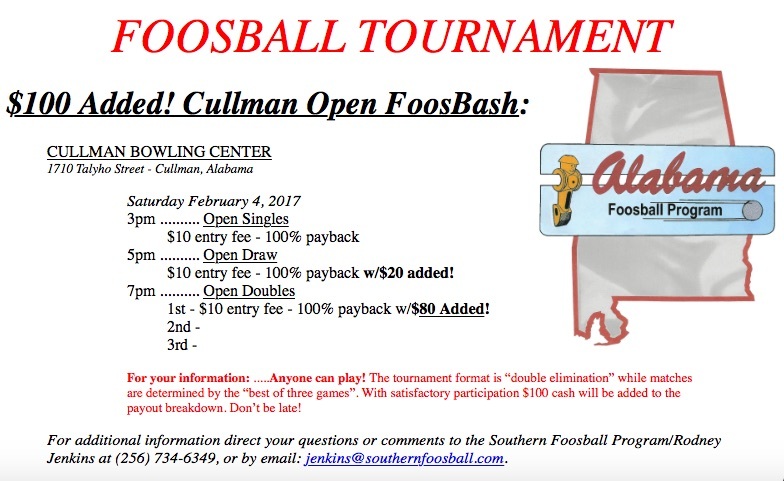 February 4th 2017 $180 added Cullman Open FoosBash ... Saturday at Cullman Bowling Center. 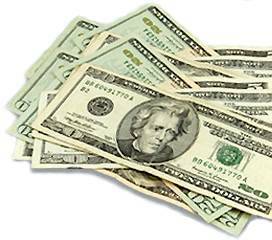 .....$10 entry fee per player - 100% payback! ...Please donÕt be late! 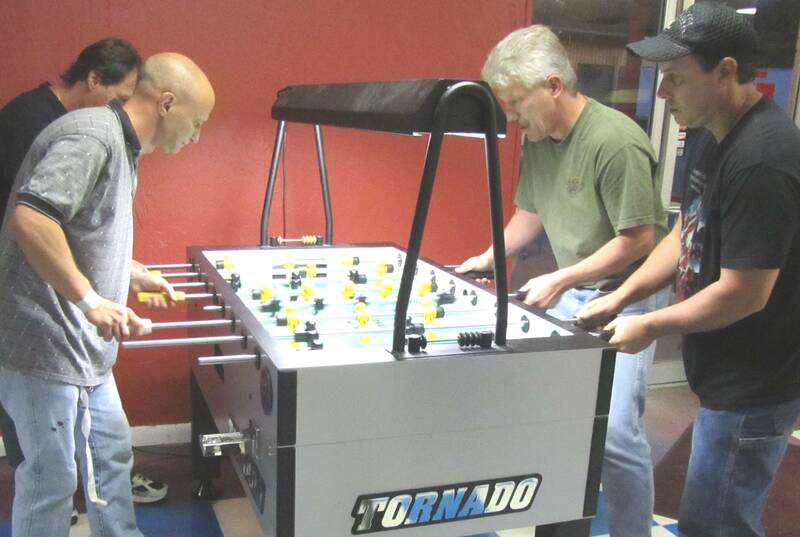 *Three Tornado foosball tables are on location at this time. *Participation varies from week to week. The event is at a notification status. As of 3-1-2019, notifications will be circulated among the regular participants when a tournament turn-out is expected. Mr. Recruiter, Buddy System, or iron man. 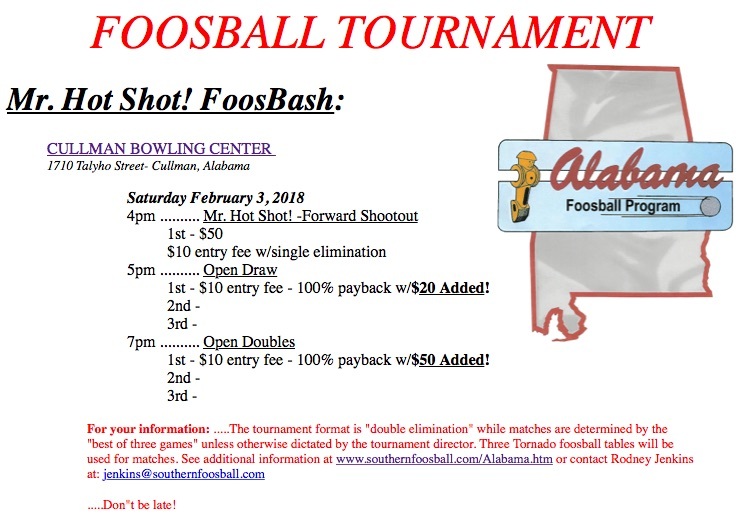 *Bring all your foos-friends, all are welcome to participate. 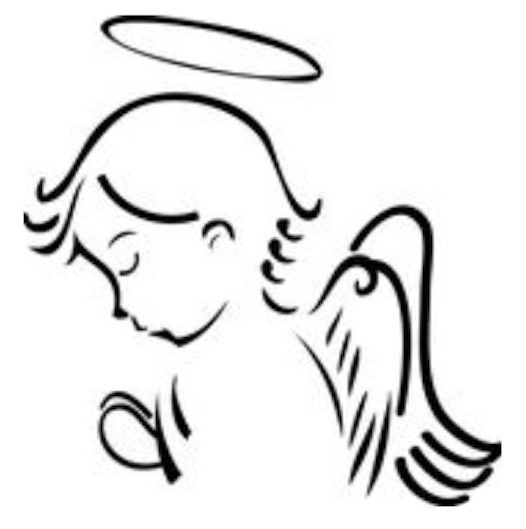 *Participation varies from week to week, check with someone "in the know" before traveling a long distance hoping to participate in the tournaments. Sometimes the weekly tournaments are at a notification status Ð which means an announcement will be circulated when a turnout of players is expected and/or when a player will be present to play games and/or coordinate a tournament in case of enough interest. Be "in the know", join the text messaging group among the regular participants---submit name and contact information to: [EMAIL US]. *Do you want to learn how to play foosball? Best advice is get involved. 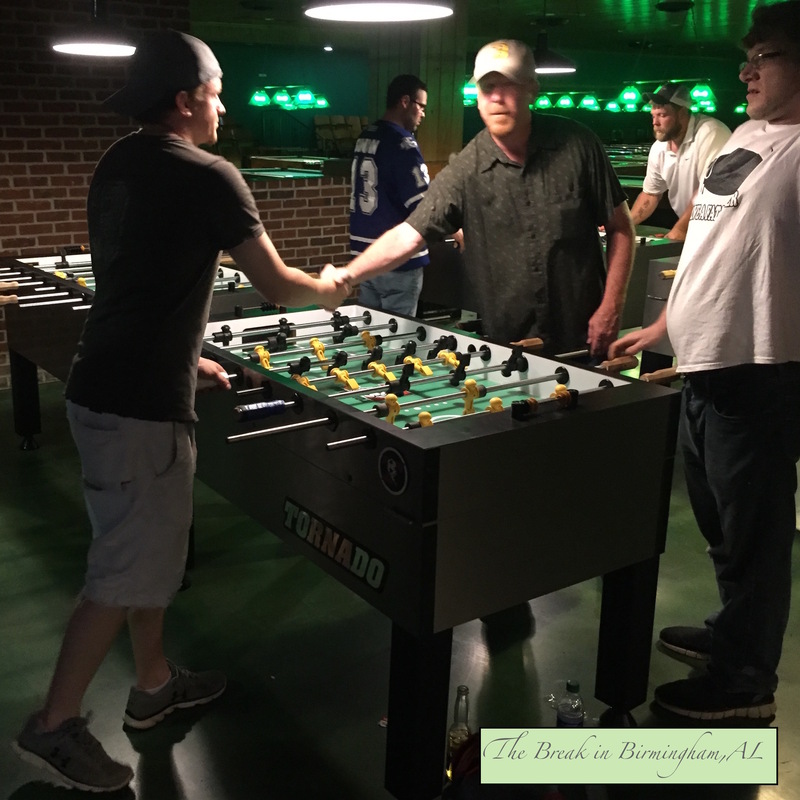 Learning and improving your skills playing foosball will happen quickly with experience and most of our already experienced foosball tournament                                                                                                                                       players would love to help you learn and improve your foosball playing ability. The SpotÕ Draw tournament and with itÕs added challenging strategies it presents has proven to be an effective new player development platform. For those that prefer, lessons are available also--private or semi private, beginner or advanced. 1st ...Stephen Darby & Rodney Jenkins/ 2-Jeremy Monroe & Al Widok/ Nick Peterson, Dale Moore. The 6 Pockets Bar & Billiards is now set up to become the new host of the ProgramÕs "EVERY WEDNESDAY" foosball tournament activity as of February 2019. 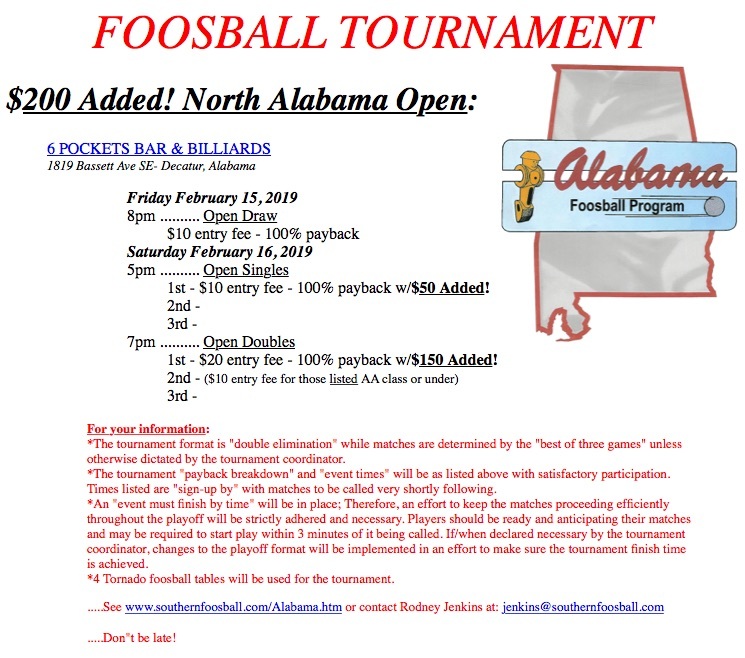 Competition of the North Alabama Open was recently presented at the "6 Pockets" location and several teams from surrounding areas turned out for the multiple event foosball tournament. Twenty-two players entered the open singles event where Randy Raposo, traveling from the BÕham area to compete, remained undefeated during the event earning the first place title. A couple of players out of Mississippi captured the open doubles title-Shannon Coley & Keith Bates. The photo shown is of the two teams playing for the championship win of the open doubles event where Shannon & Keith outlasted the come-back efforts of the Chattanooga,TN team, Bruce Stancel & Todd Brooks, in a two-match finale. Eleven teams had entered the open doubles event. Additional results are listed above. 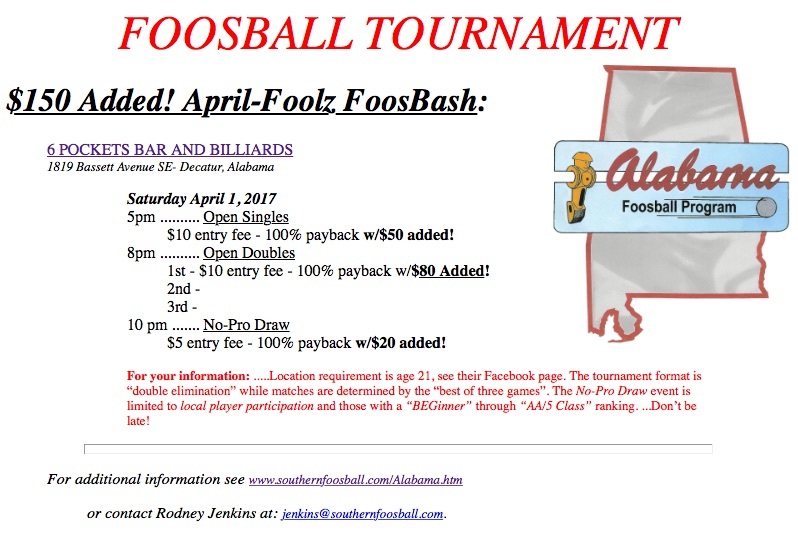 The long-time foosball tournament location for the Alabama Foosball Program in Birmingham, The Break Restaurant & Billiards, sold the property and closed itÕs location back in November of 2018. I was recently in the Five-Points-South area where it was located and noticed that the building has already been totally demolished and removed making room for a new high-rise building to be built on the property. I mention because, I want to let those interested know that the Break owner mentioned plans to re-open the business in a different location. He also stated that heÕd like to include the foosball tables but said that it would be at least a year before the new location will be ready. 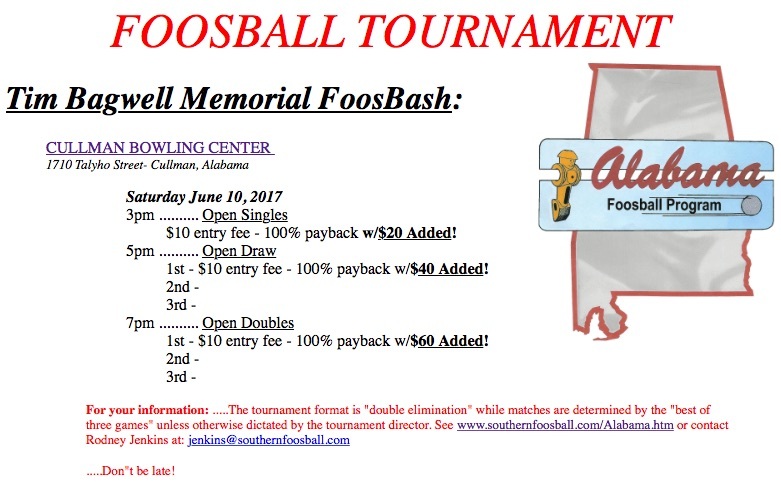 As of June 2018, The Cullman Bowling Center is closed for a major remodeling project and the foosball tables have been removed for the process. 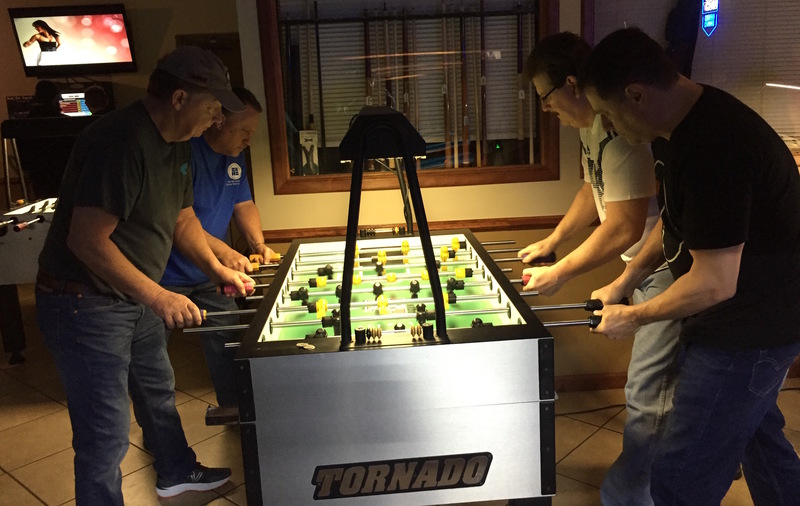 Management has stated interest is to keep the foosball Program once the remodel project is complete if possible. My fingers are crossed since the property improvements will create a favorable atmosphere for the foosball activities that weÕve enjoyed at that site for so many years. The business improvement plans include a restaurant/bar creation. 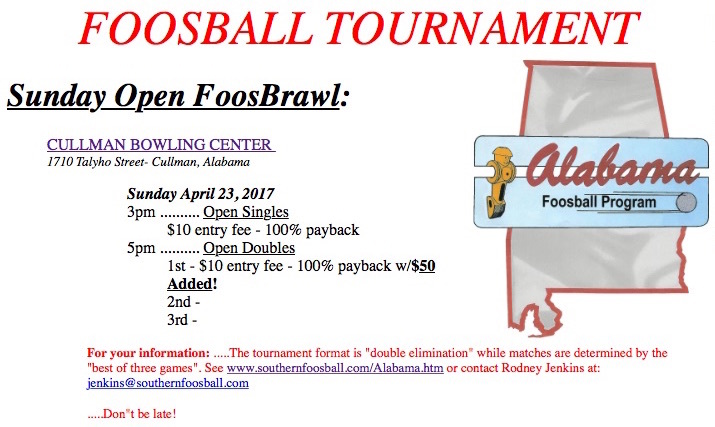 Looking forward to potentially continuing the tournament program in Cullman once the Cullman Bowling Center re-opens for business. Thanks for your patience during this period. The Cullman Bowling Center did re-open for business; unfortunately, no room for foosball at this time. Also, I recently removed the foosball table that was on location in Montgomery at RicÕn Moes. 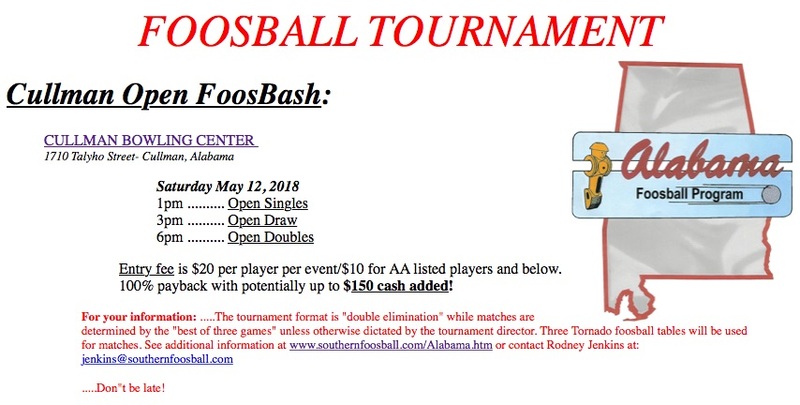 Due to the varying skill levels of the local players participating--along with an interest in creating an inviting atmosphere for the "beginner" and/or "new" player participation--the popular weekly tournament format is the spot-in-advance draw-your-partner(DYP) tournament. The format dictates the possibility of spot advantages. For example, according to a projected "level of experience" of a team of players paired together compared to the experience level of their opponents, sometimes the format dictates one team having to score additional points in order to win a particular game during competition while the other team only has to score the traditional 5 points in order to win that game. Find a place to participate. Let me know if youÕd like to coordinate this type event in your area, IÕd be happy to provide you with the things you need including the charts and instructions. *There are alternative competing options allowed for players to participate in our tournaments, they include: the Buddy System and Mr. Recruiter. *During the Programs' events we will allow a protection circumstance for rule violations committed by players with limited tournament experience and those who are not yet accustom to playing by the official rules of play. The spirit of the rule violation protection procedure is to allow new players some flexibility when it comes to the rules while participating in the Programs tournaments. In other words, we don't want to discourage new players from participating our tournament events simply because they are unfamiliar with rules of play, or perhaps their style of play may conflict a simple rule or two. We do want to encourage players to play by the rules but, for those that need, we want to allow a grace period that will allow them to compete according to their style of play while gradually learning to play according to the official guidelines of play. *FYI: The popular play-off structure is Òdouble-elimination bracket-playÓ with winners determined by the Òbest-of-three-gamesÓ matches. Since this format creates the potential for a fair amount of foosball to be played in order to reach a winning team, the tournament coordination process needs to be time-efficient. Participating players should be on time and available and ambitious to play their matches when applicable. It rarely ever happens, but in case the tournament does not finish before business closing time, the tournament shall resume the following week one hour prior to regular start time. 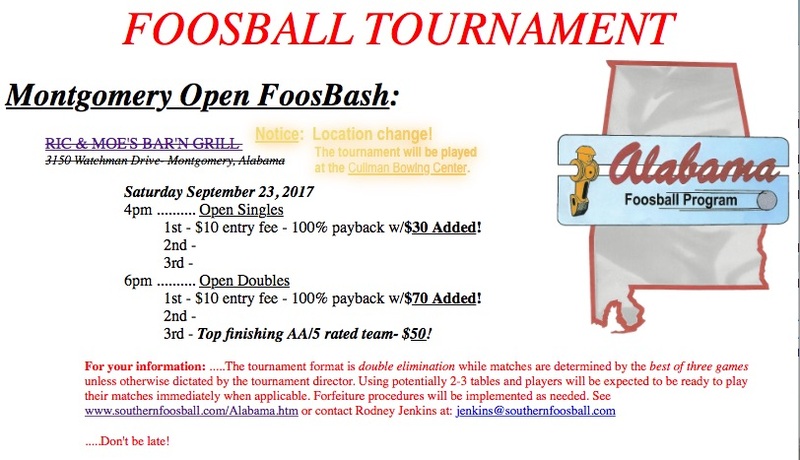 Direct your questions or comments to the Southern Foosball Program/Rodney Jenkins at (256) 734-6349, or by email: jenkins@southernfoosball.com. If you're reading this you'll probably agree that foosball is a very unique game. It can be very fun, and some people will say that it can be addictive. 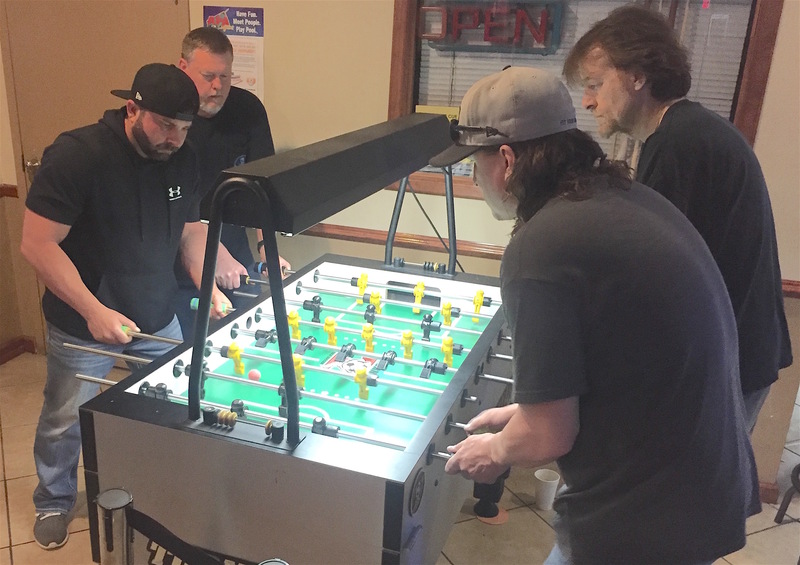 In most areas throughout the Southeastern USA it's not easy to find places where you can walk in and find a foosball table with experienced players available for games. 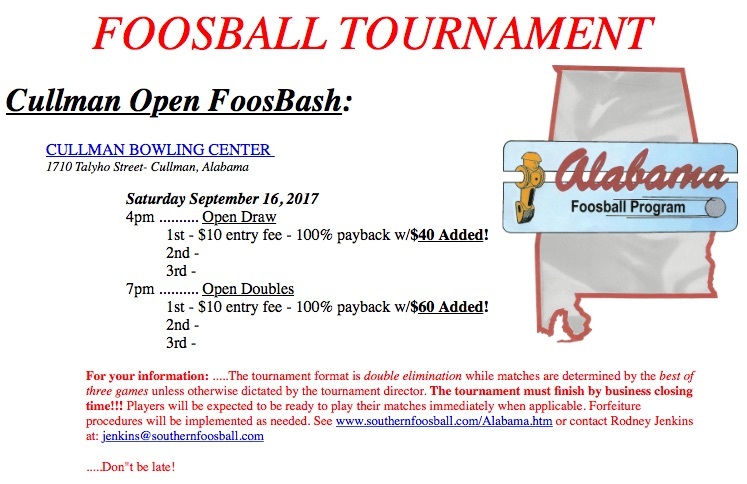 It's been my suggestion that foosball players should try to establish a location where they can designate days and times for enthusiasts to show up and all can then satisfy their craving to play foosball. 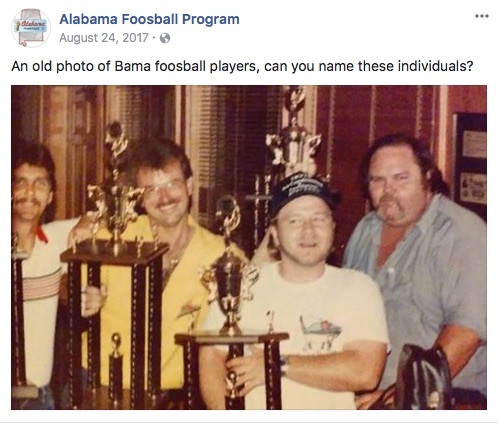 In fact, that's exactly the principle that lead to the creation of this Southern Foosball Program. It's a popular practice for these types of gatherings to eventually lead to some type of coordinated competition format. 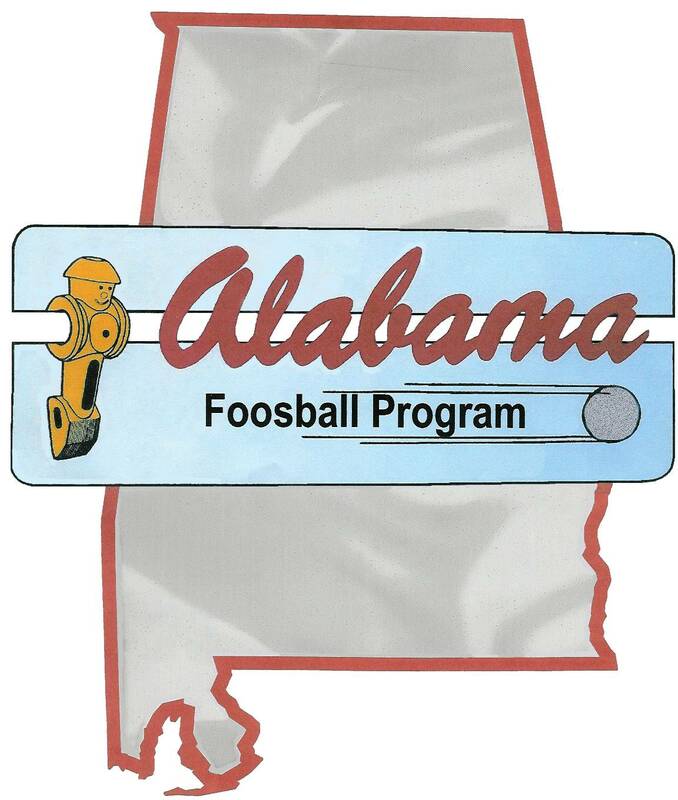 It's my intention to include submitted information that will help any persons interested in finding foosball activity in areas scattered throughout the Southeastern USA. 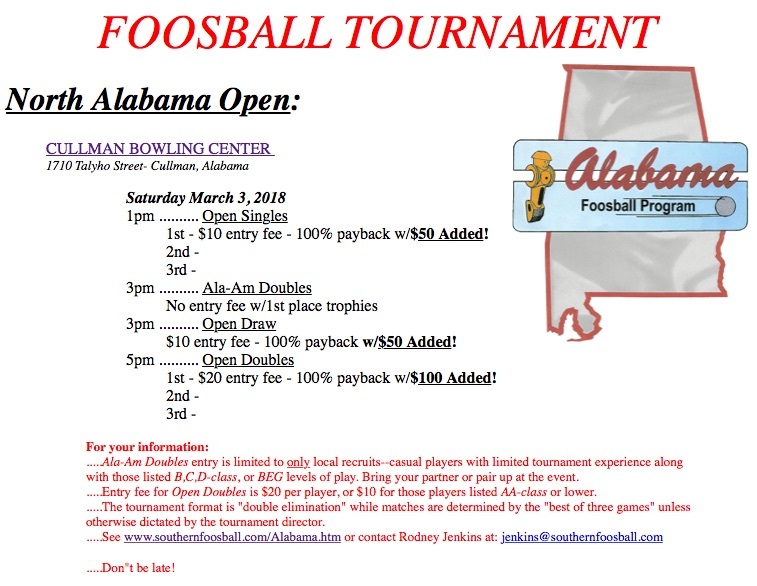 If you know of places where coordinated efforts have established an event, whether it's every-week, bi-weekly, or even monthly, if it's presented in sportsmanlike fashion and if it's open to anyone to participate, please submit this information to jenkins@southernfoosball.com. It's very likely we will add that information here so that possibly others will learn of it and open the door for the possibility of growth in the local player base. 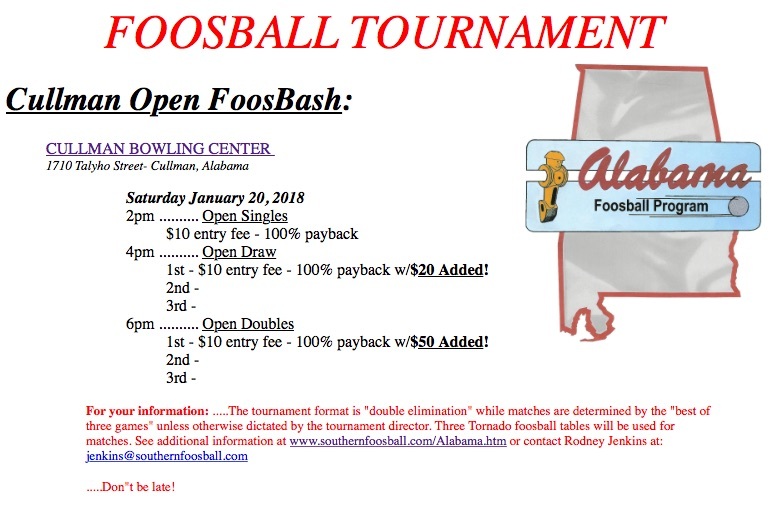 For additional information direct your questions or comments to the Southern Foosball Program/Rodney Jenkins at (256) 734-6349, or by email: jenkins@southernfoosball.com.